Joel loves Bitcoin and Digital Currency. He holds a BSc (hons) in Criminology with Criminal Justice Studies and Sociology, is a member of the Ludwig Von Mises Institute, a Lifetime Member of the Bitcoin Foundation, is involved in a few other bitcoin projects, and is Director of IBWT (""In Bitcoin We Trust""), a Digital Currency Exchange. Robin Hood Saves And Returns $20,000 In Bitcoins! Beware all ye who wonder down these paths where brainwallet.org and other brainwallets may lie. Many a person has stated warning from afar, such as tech wizard Jeff Garzik who shouted “No!” firm warning raised, and such as Robin Hood (of the Digital Age), where our tale lies today. The term ‘brainwallet’ has been in the Bitcoin space for a while; the first I heard about it was last summer (2013). Being a cautious person myself, and not a coder, I waited patiently whilst others experimented with this new thing, brainwallet.org. Brainwallets are Bitcoin wallets generated uniquely from a passphrase that the users keeps in his mind so that it is required and sufficient to move the funds. Soon I heard about people losing their funds via the site, and reading through a variety ofwarnings on bitcointalk I decided never to use the site myself. The consensus is that humans simply cannot generate a secure brain wallet versus someone with an FPGA farm (a relatively fair amount of computing power). FOR GOD’S SAKE. DON’T DO IT. YOU MAY THINK YOU ARE SMART ENOUGH. SO DID EVERYONE ELSE WHO GOT ROBBED. HUMANS ARE NOT A GOOD SOURCE OF ENTROPY. Unfortunately amongst the list of warnings not to use the site there is the sporadic message from some poor unfortunate who did indeed use the site, and promptly lost all their bitcoins they deposited. However, for the unlucky and too trusting out there, or those that were simply fooled by a scam site or similar, there is Robin Hood (btcrobinhood), who tirelessly roams the digital woods looking for things to right. His most recent service to the community has been to swipe and return 35 bitcoins from someone who had mistakenly decided to use brainwallet.org. As has happened recently with this particular redditor,he deposited 35 Bitcoins, which quickly disappeared. A tragic blow, that lost him “95% of his Bitcoin Holdings”. He was fortunate in this case as Robin Hood was soon on the scene. 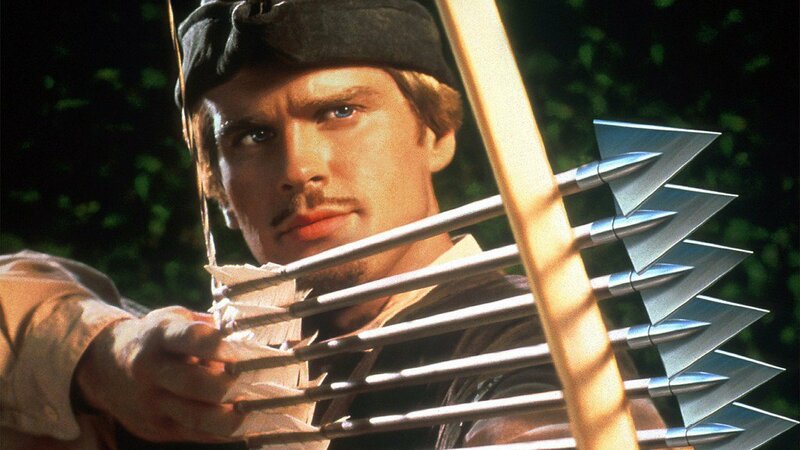 Robin Hood in this scenario is something that is referred to as aWhite Hat hacker, someone who hacks with an altruistic nature (someone who gives and cares for others rather than takes and cares just for themselves). Robin Hood returned the 35 Bitcoins ($20,440 on 27th June ($584) average). Final Edit: My coins have been returned to me!!!! PSA to anyone planning on using the random function on brainwallet.org. DON’T DO IT! It is not secure. I am one lucky dumbass! Wait, There’s a Bitcoin Bowl Game? !